Limeroad cut the price offer: This offer is same as Mi Madness sale we shared a few days ago. You will get free products just by clicking on these products. Invite your friends to drop the price and you will get products for free. Limeroad is a one-stop fashion destination where you can shop for all kind of awesome Men, Women and Kids clothes, handbags, Footwear Home Decor and Accessories etc. Now click on Cut the Price > Enter your mobile number > Enter OTP. You will see a congratulation message on the screen for helping me. Now you will see the Free Products option on the same screen. Open it and select your favourite product and share links with your friends. For every person who clicks on your link, you will the get price drop from 0 to 100 Rs. You can order the products as soon as the price reaches Zero. You will get 24 hours to drop your price. Subscribe us on the telegram to get faster notification of such offers. Customers can get products free by simply participating in the game. No payment is involved. Choose your favourite product, invite friends to help you cut the price. As long as the price is cut to Rs 0 within 24 Hrs, you will get the product for free. All the cost of product and shipping is borne by Limeroad. You can start as many “cut the price” as you like. Although the Likelihood of success is more if you start only one at a time. Your friends need to verify their mobile number to help you cut the price. You can help up to 3 friends to cut the price, the value of the second cut is lower than the first cut and so on. For the same “cut the price” you can only help once. After you have successfully cut the price to Rs 0, you can claim your reward by clicking on “Claim” button, we will give you LR credits (1 Credit = ₹ 1) equal to the selling price of the product in your Limeroad account. You can place the order for the product at Rs 0 after choosing a size and selecting the delivery address and applying LR credits claimed on checkout. 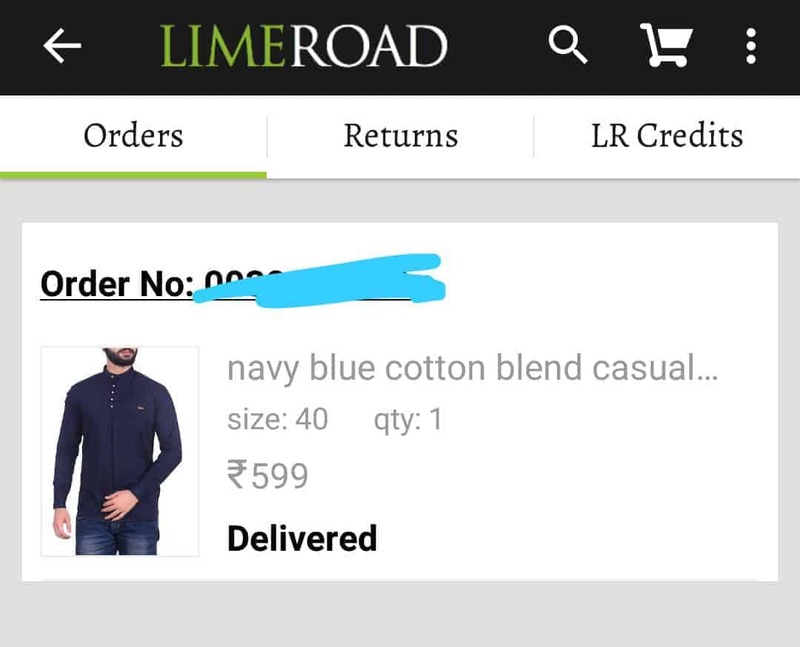 If the product goes out of stock or your size is unavailable, you can use those LR credits to buy anything on Limeroad. Visit here for more Freebies offers. Tags- Limeroad Drop the price offer, Limeroad cut the price offer.